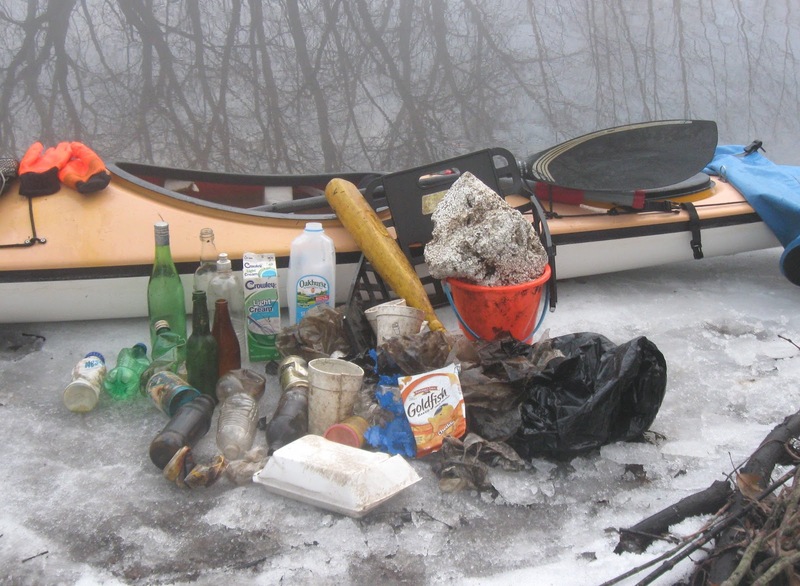 Since it was still relatively mild this morning, another trash patrol was quickly put together and it is only by coincidence that I seem to be patrolling Massachusett's rivers in alphabetical order. Upon launching near Egg Rock I soon found that yesterday's 'heat wave' had cleared the majority of ice from my local rivers but left remnants of it hanging in the air as fog and this resulted in a surreal effect. Perhaps it was his "January Thaw" dance. 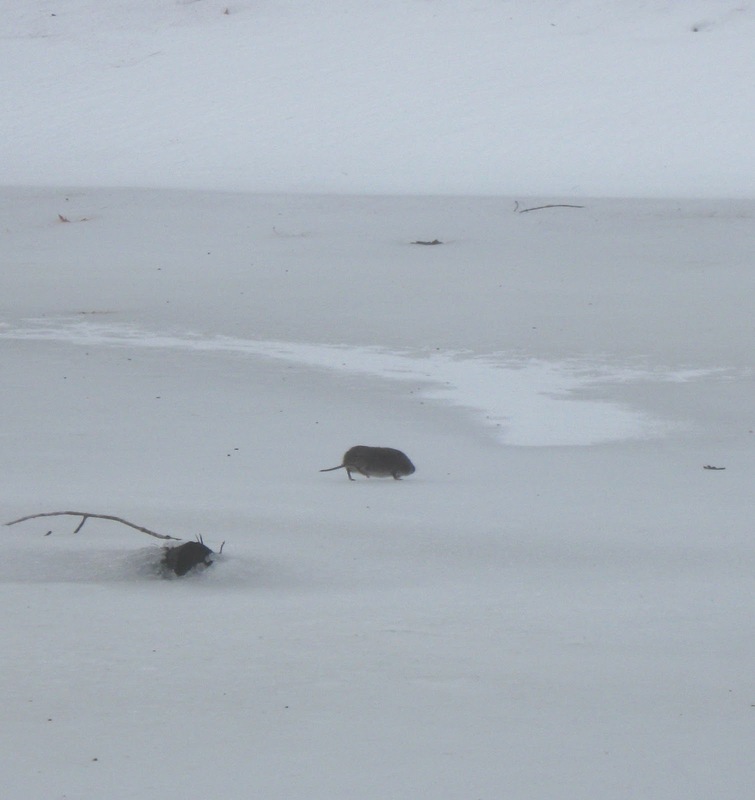 Other wildlife seen today were numerous mallard ducks, Canada geese, Muscovy ducks, a mink, and a musquash. It was a motley looking bunch comprised of 16 recyclable containers (1 redeemable) and 28 pieces of miscellaneous rubbish such as styrofoam items, numerous remnants of plastic bags, a child's baseball bat, and plastic pail. My YTD total stands at 64.